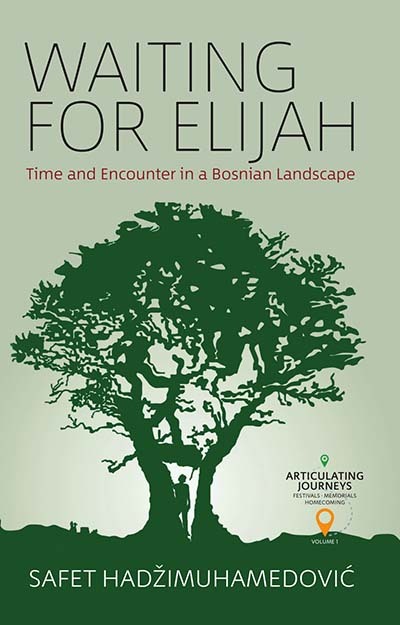 Waiting for Elijah is an intimate portrait of time-reckoning, syncretism, and proximity in one of the world’s most polarized landscapes, the Bosnian Field of Gacko. Centered on the shared harvest feast of Elijah’s Day, the once eagerly awaited pinnacle of the annual cycle, the book shows how the fractured postwar landscape beckoned the return of communal life that entails such waiting. This seemingly paradoxical situation—waiting to wait—becomes a starting point for a broader discussion on the complexity of time set between cosmology, nationalism, and embodied memories of proximity. Safet HadžiMuhamedović currently teaches anthropology at the University of Bristol. He has conducted fieldwork in Bosnia, Palestine, and the Basque Country since 2009 and has been recipient of a number of prestigious research awards. He has previously taught at Goldsmiths and SOAS, University of London, and Goethe University Frankfurt, and has written on sacral landscapes, historicity, and political agency of “nonhuman” beings, and ontological approaches to the question of home.